Students voice their opinions at an MUSG meeting after word spread that the some conservative students had drafted a recommendation designed to block the HSI initiative. 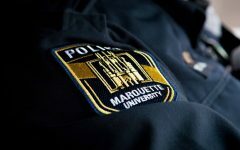 There were originally 50 chairs set up in the Marquette Student Government meeting room in anticipation for a larger than usual crowd of concerned students. 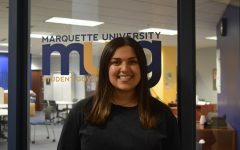 But nearly 100 students of all races, genders and grades gathered at the MUSG meeting to show their support for Marquette’s Hispanic-Serving Institution initiative, which aims to increase the campus population to 25 percent Hispanic by 2050. 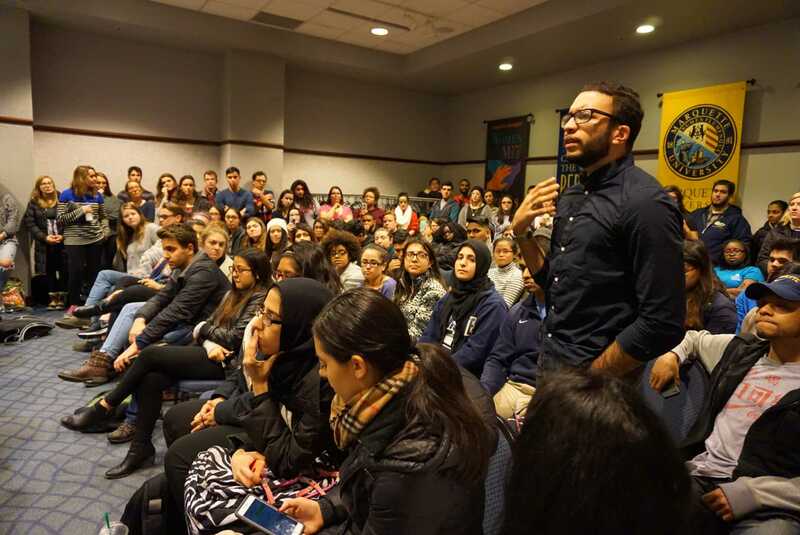 Students were encouraged to voice their opinions during the meeting after word spread that some students had drafted a recommendation designed to block the HSI initiative. The recommendation called for solely merit-based admittance as opposed to affirmative action and expressed worries about the university fulfilling a quota based on race. Affirmative action applies to all minorities, but the recommendation targeted the Hispanic community. “It is our collective belief that the Hispanic Quota will only hurt the very institution we care deeply about,” the recommendation stated. Ricky Krajewski, legislative vice president, opened the forum for concerned students by calling for a respectful debate. He also said there was no official legislation on the table regarding HSI due to the fact that he wanted to further inform the Senate. Krajewski said he hopes he will be able have Jacki Black, associate director of Hispanic initiatives, discuss HSI with MUSG at the beginning of the spring semester before MUSG decides on any legislation. 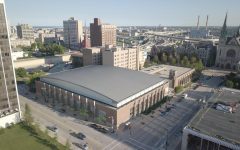 Once the forum was opened, one after another, students expressed their support for the HSI initiative and opposition of the conservative recommendation. Representatives from numerous student organizations, including College Democrats, Midnight Run, Latin American Student Organization, Native American Student Organization, Muslim Student Association and Bayanihan Student Organization, gave pleas for minority inclusion. According to Senator Roberto Santos, over 700 students were represented through these student organizations. 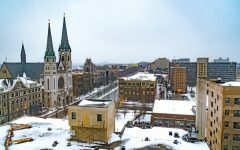 “Marquette’s pursuit to become a Hispanic Serving Institution is a necessary response to the changing demographics of our nation as a whole,” Mary Cordes, a member of the standing Community Engagement Committee, said. Many other groups voiced similar sentiments. When the forum was over, MUSG president Abe Ortiz Tapia gave a statement thanking everyone who participated. “I’m here to change the way Marquette sees minorities,” he said to a standing ovation. Ultimately, the concerned students at the meeting left feeling satisfied their voices were heard. “We came here to support our brothers and sisters and to stand in solidarity. I definitely think that goal was achieved,” Andrea Garcia, a junior is the college of Health Sciences, said.